As a teenager without a care in the world, I made a contorted dive off of a high diving board and induced a “whiplash” injury to my neck. I never wanted to treat or evaluate the painful condition because I thought I was a superman and “it will get better on its own.” It never did get better on its own. In fact, it got worse. Truth is, I had then developed a chronic situation in my neck. Every couple of months I found myself experiencing an episode of severe pain, where I had difficulty lifting my head and couldn’t move it very well. It seemed to initiate when doing menial tasks, which was very frustrating to me. As these episodes became more and more frequent, my mom took me to the medical doctor. His solution was to give me medication. Even at that time, taking medicine to just cover up the symptoms didn’t make much sense to me and I refused the pills. A buddy of mine told me about this chiropractic doctor across the bridge named Frank Capone who had “fixed” his dads back. After seeing Dr. Capone for a course of treatments and then returning periodically for maintenance, the episodes became much less frequent and also less severe until they eventually faded away. Voila, chiropractic worked for me! While in college I was initially planning to attend dental school. Perhaps it was my early success with chiropractic; or maybe it was the philosophy of maintaining your body early on so you wouldn’t have the need to resort to drugs or surgery later in life. Ultimately, chiropractic seemed to resonate best with my personal philosophies and beliefs on health. At the beginning of my college education, I was a biology major, switched once to accounting, only to find myself right back to the “study of life” – “biology”. My undergraduate education was completed at the State University of New York Binghamton. Upon graduating, I had many choices for chiropractic school, and finally decided on Los Angeles Chiropractic College (now called SCUHS). I have to admit sunshine and the best weather in the country probably played a factor! In my experience, there is nothing healthier than enjoying the outdoors. Soon enough, as I experienced the intensity of a graduate education through long hours of class and study and ultimate working with patients of my own, my outdoor activities were limited. Replacing that enjoyment was my ongoing amazement at the magnificence of the human body’s abilities to heal and transform. In the early nineties, I was proud to be appointed Assistant Professor of Clinical Neurology at Cleveland Chiropractic College, Los Angeles. Following my appointment, I decided to expand my knowledge base and enrolled in a 4 year Traditional Chinese Medicine Program in Santa Monica, California, which was to be completed in Beijing, China. Incidentally it was actually in chiropractic school that I became interested in Eastern Medicine. I was researching in more depth about chiropractic and learned that many of the adjunctive techniques and procedures that chiropractors used originated in eastern philosophy and practices. It was during this time that I became interested in the study of Traditional Chinese Medicine. I am currently certified and licensed to practice acupuncture and herbal medicine nationally, as well as additionally licensed in Florida as an Acupuncture physician (and chiropractor, of course). Personally, I regularly practice maintaining my own health through regular exercise and sound nutritional choices. In addition I sustain my nervous system through regular chiropractic care as well as support my circulatory system through acupuncture sessions. My goal is to “serve through example”. 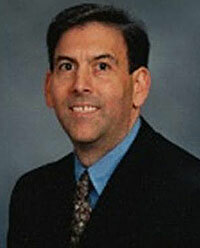 For over two decades, Dr. Friedman has been practicing chiropractic and Chinese Medicine. Previously in private practice in Beverly Hills, California for 15 years providing care for primarily sports and recreational related injuries, he has practiced in Tampa, Lutz and Sarasota, FL for the past eight years. He has recently relocated his core practice back to Tampa. Call (813) 258-1545 NOW to schedule your appointment! Leave a message if you don’t reach the staff immediately. Dr. Friedman will get back to you personally!